Weekly Fishing & Stomach Pump ReportFishing with Kids Blog - Get Ready! Cold, clear creeks dancing down mountain canyons and gem-like alpine lakes are home to fighting Rainbow, Brown, Brook and Golden trout. Cast a fly or lure, bait a hook and get ready for some of the finest fishing in the west. The Bishop area is renowned for its trout fishery. Whether it’s the challenge of the catch-and-release wild trout section of the Owens River or casting your line into a sparkling lake, the chance of catching a big one is always there. Just a short drive west of Bishop along State Route 168, the natural environment changes quickly from the high desert sage and arid climate of the wide open Owens Valley floor to an alpine wonderland of pine forest, rushing streams and gorgeous deep-blue lakes surrounded by the mighty mountain peaks of the Eastern Sierra. With well maintained roads leading to four major lakes, this is one of the most accessible areas in the entire Eastern High Sierra for excellent trout fishing. This blog has more about autumn fishing in the Bishop Creek Canyon. At nearly 10,000 feet, South Lake offers you breathtaking scenes, cold mountain water loaded with quality trout. The road to the lake is lined with pine and aspen and meanders along the south fork of Bishop Creek. There are boat rentals available at South Lake Boat Landing (760) 873-4177. East of the lake on SR 168, rustic cabins are available for rent at Bishop Creek Lodge (760) 873-4484 and Parchers Resort (760) 873-4177. Parcher’s also offers RV sites. South Lake is also popular with hikers, backpackers and horse packers and photographers. At South Lake you will find the trailhead for Bishop Pass leading to hundreds of high-mountain lakes in the John Muir Wilderness. (8,500′) 17 miles southwest of Bishop. The road to Lake Sabrina will lead you to Cardinal Village Resort (760-873-4789), just above the community of Aspendell. Take a few moments to drive to the resort at the bottom Bishop Creek Canyon where Aspen groves carpet the canyon floor and delight photographers, particularly in the fall when golds, crimson, and reds light up this narrow valley. Guests can rent seasonal cabins with modern conveniences located throughout the resort property; several cabins are historic and date back to frontier mining days. The resort maintains a small pond stocked with rainbow trout which is a great place for kids to cast their lines. The pond is also handicapped accessible for those seeking easy access to a nearby fishing hole. Bishop creek and its tributaries flow around the lodge giving anglers opportunities to explore the area’s waters and discover notable historic features associated with the famous Cardinal Mine operated by Gaylord Wilshire in the early 1900s. A short and easy trail leads to the historic mine above the resort with picture perfect views of Cardinal Pinnacle. The north fork of the Bishop Creek road leads to the spectacular beauty of Lake Sabrina. You will find a splendid setting with magnificent fishing and photo opportunities, boat rentals and food services at Lake Sabrina Boat Landing (760) 873-7425. Lake Sabrina campground is just below the lake. The north fork of the Bishop Creek Canyon is particularly beautiful in the fall, with its Aspen-lined slopes ablaze with gold, orange and red hues of autumn. Bring extra film, batteries and memory for the digital photography enthusiast. Located at the end of a steep, narrow dirt road (proceed with extreme caution), North Lake feels like the backcountry. While the lake is the smallest of the four in Bishop Creek Canyon, it doesn’t fall short of natural beauty or great trout fishing. This is the perfect location for float tubing, photography and soaking in the natural beauty of Bishop Creek Canyon. The Piute Pass Trail leading into the John Muir Wilderness starts at the North Lake Campground 1/2 mile beyond the lake. Hiker parking is located near the pack station. Except for the pack station (Bishop Pack Outfitters), no boat rentals or services of any kind are offered at North Lake. Managed by Southern California Edison, Intake II (aka: Intake No. 2) is the lowest lake in elevation in Bishop Creek Canyon. Easy to fish, Intake II is heavily planted during the season by CDFW with both pan-size rainbows and large trout. This lake is known as a great lake for both shore fishermen and tubers. The beautiful campgrounds at the west end of the lake are very popular. Intake II also provides wheelchair access for fishing with great opportunities for catching a big one! No boat rentals or services are available at Intake II. OWENS RIVER – Open for year-round fishing! 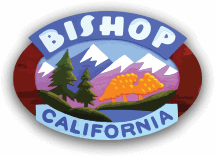 The Owens River is located to the north and east of bishop and can be accessed through a number of routes you can find by viewing one of the many area Bishop Area Chamber of Commerce and Visitors Bureau publications located on one of the Local area Maps. The gentle flowing and truly scenic Lower Owens River, there’s great opportunity for any angling pursuit, flies, lure or bait. Open all year for fishing, there are miles and miles of the Owens to master your fishing and catch big and beautiful fish. The Owens River is fast becoming a world class fishery for the fly rod enthusiast. Drift boat and fishing guide services are available as listed below and in Bishop. You can also find a county campground along the Owens River just north of Bishop or take advantage of the dispersed camping on BLM lands along the Lower Owens. Remember when camping on public lands to tread lightly. Be sure to take advantage of float tube and shore fishing at the nearby Pleasant Valley Reservoir. >> See this video of fly fishing the Owens River and get inspired!! The Los Angeles Department of Water and Power officially opened Pleasant Valley Reservoir for year round float tubing December 13, 1998. This is the first time any form of watercraft has been allowed on the reservoir since it was built in the early 1950’s. Other forms of watercraft, such as boats, are still prohibited there. Four reservoir access trails and signs identifying trail locations were built by California Conservation Corps crews as part of the float-tubing project. An outstanding year-round fishery, Pleasant Valley Reservoir is located in a canyon along the Chalk Bluffs six miles north of Bishop off Highway 395 (make a right hand turn at Pleasant Valley Road, it is about a 1 1/2 miles to the reservoir, just past the campground). Very popular with both locals and visitors alike, many fishermen drive to the dam and then load their bicycles with tackle and pedal along the 2 mile long paved road (closed to motor vehicles) that lines the reservoir until they come to a likely spot. The reservoir is also the site of the Bishop Chambers Blake Jones Trout Derby held every March. It is also possible to enter the reservoir from the north end at Gorge Road, 9 miles north of Bishop, at the bottom of Sherwin Grade on U.S. 395. Turn east, then drive a short way up to the pipeline and then turn right, this will take you to the power plant where there is plenty of parking for anglers. Here you will find the Owens River coming out of the power plant and slowly widening into the reservoir. Excellent stream fishing conditions are found here. All lakes and streams are open for trout fishing beginning last Saturday in April through November 15. Pleasant Valley Reservoir and Owens River are open and stocked year-round. Bishop Area Chamber of Commerce & Visitors Bureau works with Desert Springs Trout Farm to provide supplemental stocking year-round.